There was a bright spot in the interminable speeches I sat through with my daughter during college orientation weekend. A dean suggested that the students take the time to wander the stacks. His message included “wandering the stacks” of the various libraries, but was also meant to inspire them to explore – ideas, experiences, classes – that may be outside their intended major. You never know what you may find. I loved this idea, although my college experience didn’t give me much time for wandering the stacks. I had my face full of boring engineering books most of the time. There are few things that give me as much pleasure as wandering the stacks. I love looking at books, the smell of an old library, walking between dark rows of books, exploring a used book store. Quite often, my trips into the library to drop off books and DVDs becomes an hour of exploring. A visit to the library is never complete unless I have walked over to the ongoing book sale racks. 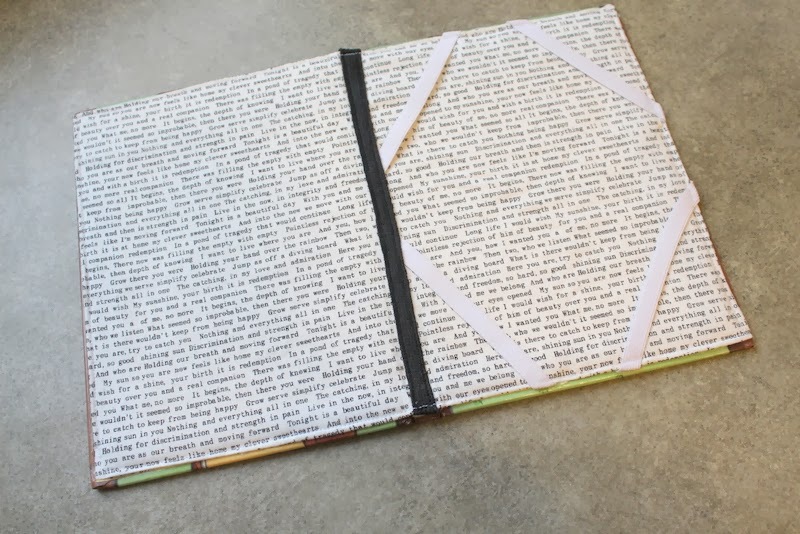 Before Christmas, my husband and I were thinking about a DIY project that required a number of books. I went to the thrift shop to pick up books, but they were priced individually and quite expensive! So when I was back at the library and browsing the books for sale, I came upon this book for $ .25! 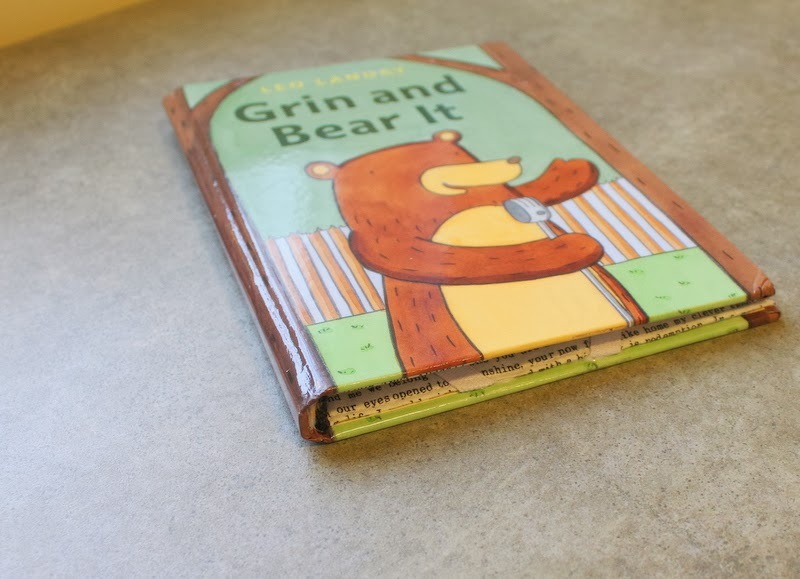 It was a hardcover book, about a 1/2 inch thick and had a cheeky title – perfect for my college-aged daughter! Side note on the Nook. My daughter suggested the Nook HD as a gift for me for my 50th birthday from my dear friends. I love it! 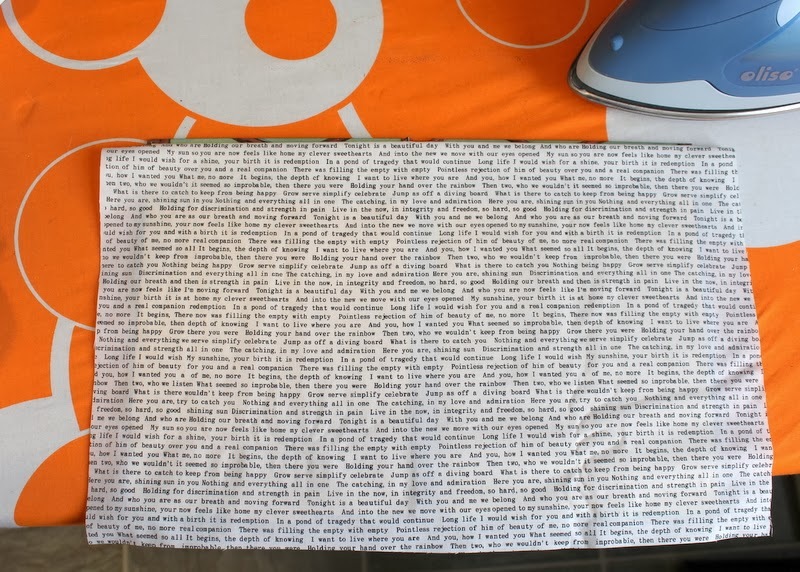 I probably spend more time surfing than reading….but that’s another story. My daughter, whose room is stacked floor to ceiling (literally) with books, was adamantly opposed to any type of e-reader. I think it was a matter of principle, and I understand that. She had started reading some library books on her Ipod. We use Overdrive to read and/or listen to selections from our libraries. But she had mentioned that while reading books in her loft bed at night the light was too bright for her roommate. 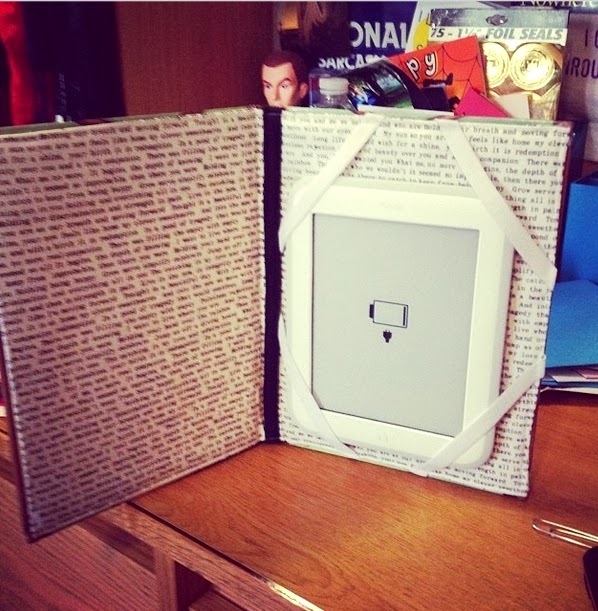 When I saw a $39 Nook deal before Christmas, I thought it would be a nice gift for her. Just something she could load some books on for those middle-of-the-night-can’t-sleep reads. There was one problem, I didn’t know that the basic Nook required lighting. Problem not solved. So she upgraded her Nook to one that has adjustable lighting. She didn’t get one with online access, so she still needs to hook it up to her computer to transfer files to it. But she likes it. 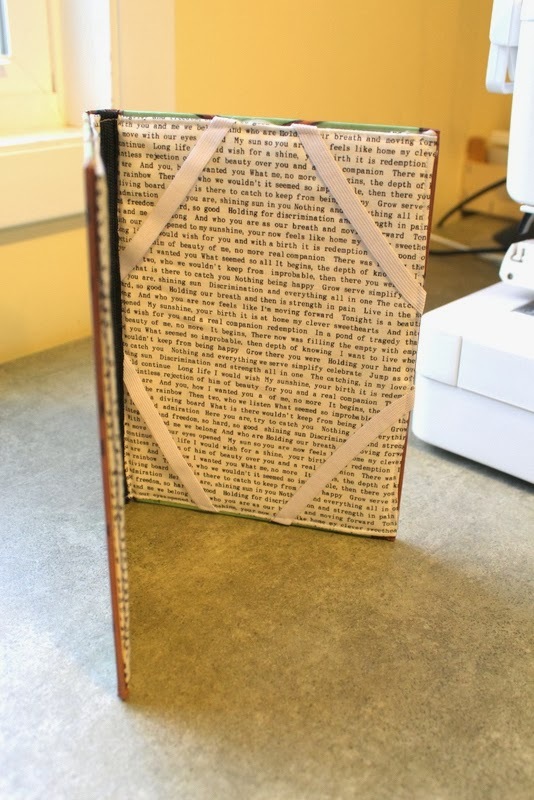 Because there is something so special about holding a book, I thought it might be fun to create a holder for her Nook out of a book. I was mainly inspired by this tutorial on Come Together Kids. I also searched Pinterest high and low for other ideas and put mine together in the following way. The hardest part was not having her Nook on hand to test. 1. Remove pages. 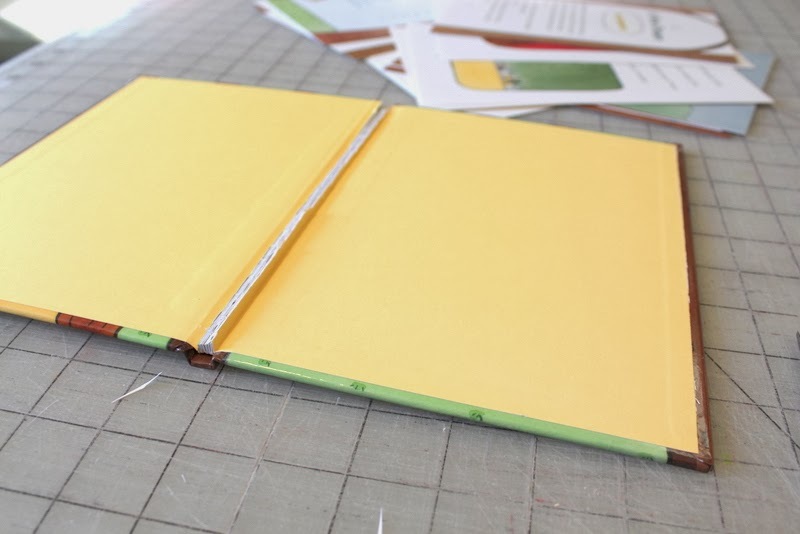 I used my button hole cutter to chop away the pages without going through the back cover. 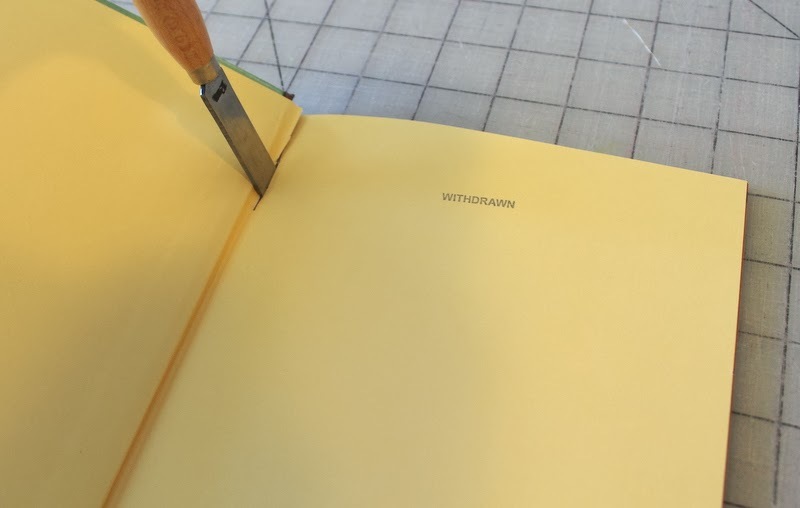 I trimmed away the remaining papers with scissors. 2. Add interfacing to the center if needed. 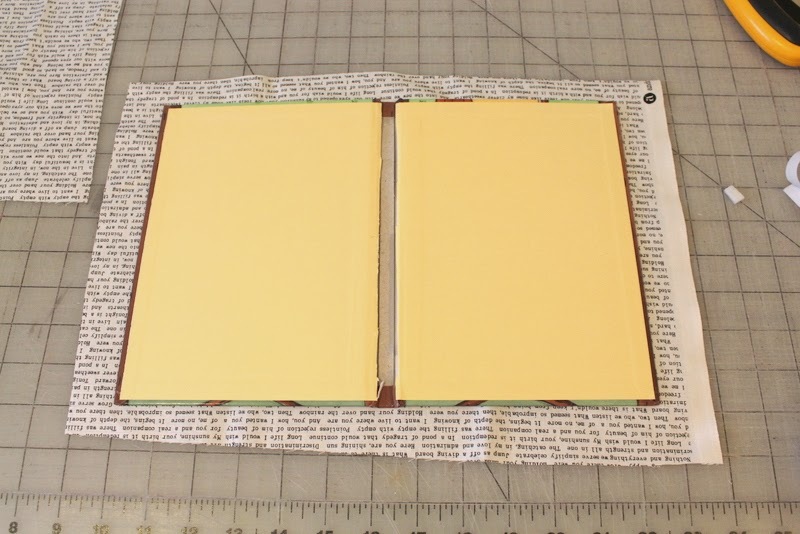 I had some thick interfacing that I cut a narrow piece of to add to the center of the binding. (This is not shown). 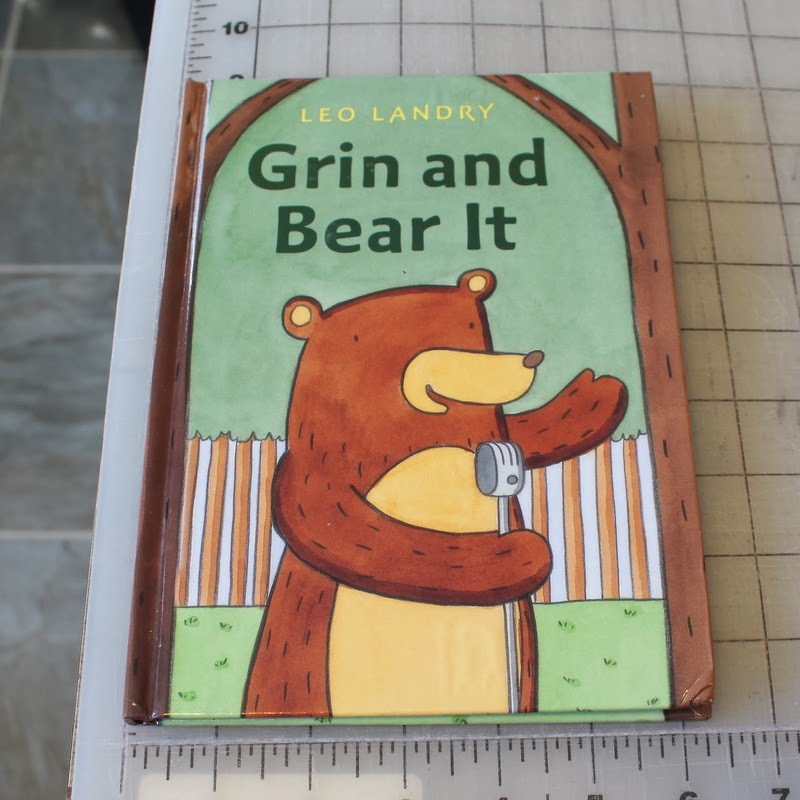 I cut a narrow strip and glued it to the center to add stability to the book. I’m not sure if this is necessary. 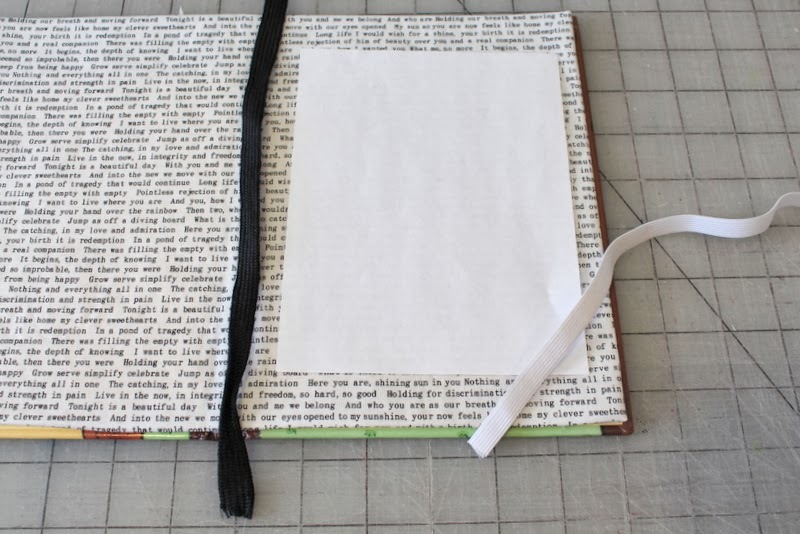 But I also thought it would be easier to glue the fabric down to something that was similar in thickness to the rest of the book. 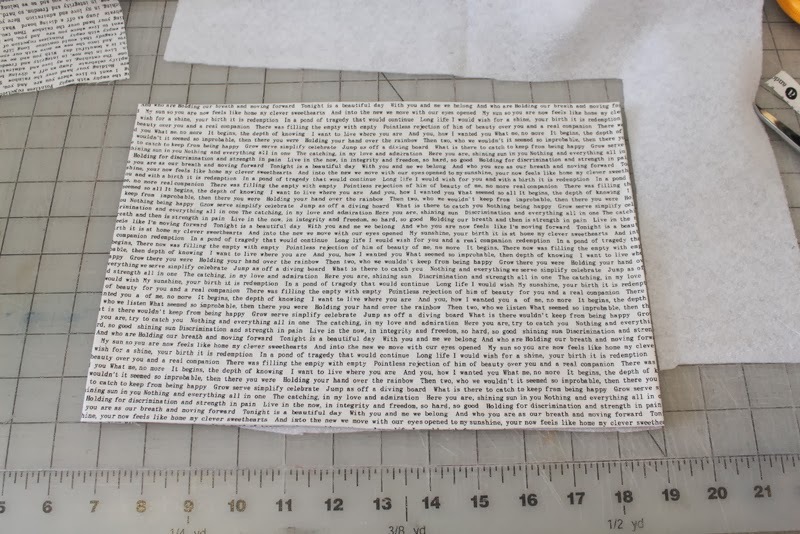 You may have to play around with this depending on the size of your book. I have also seen cardboard used. 3. 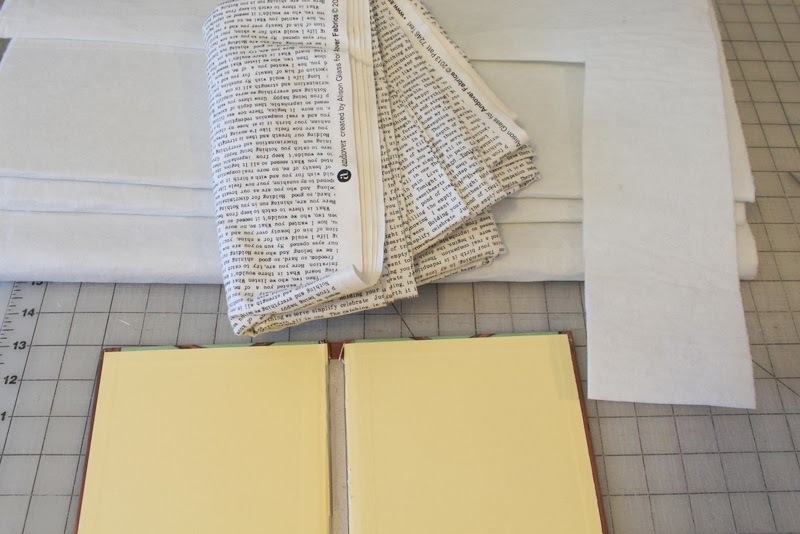 Cut a piece of fabric that is at least 1″ larger than the book. 4. 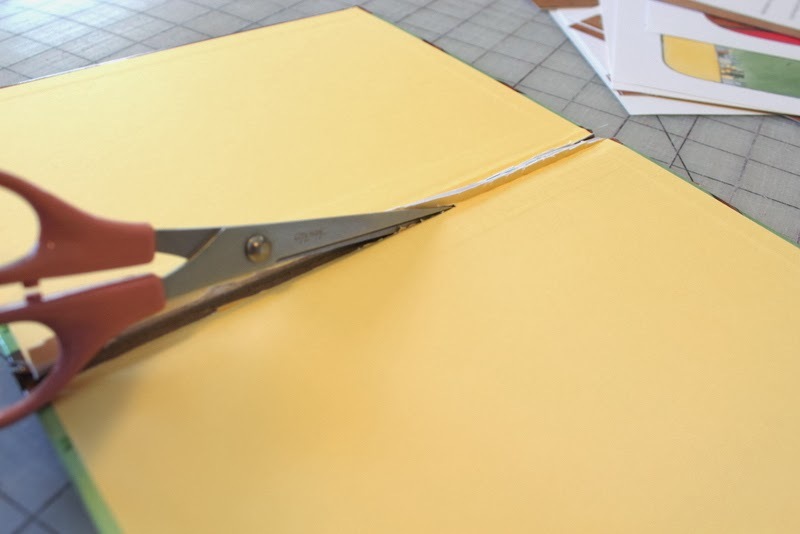 Fold the raw edges under and press. 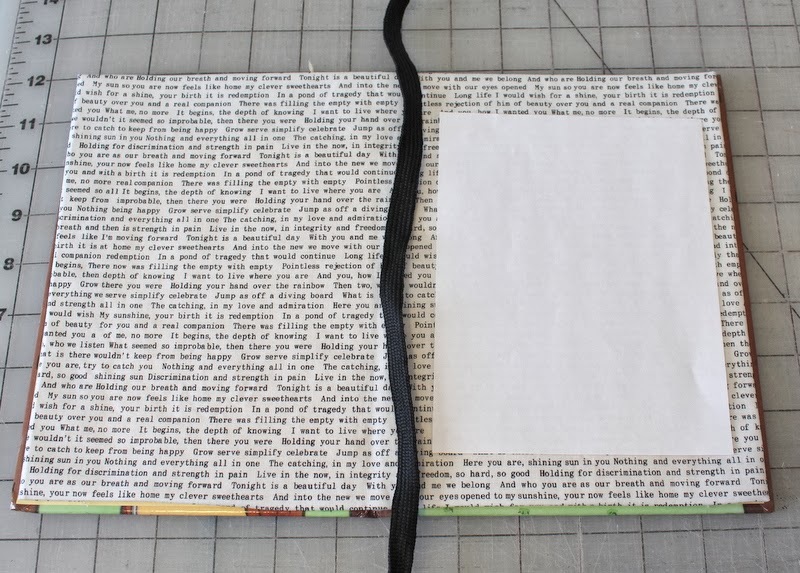 With the fabric on the inside of the book, I pressed under the raw edges so that the folded fabric would fit inside the book. 5. Add fusible fleece. I added some fleece to provide a little cushion. 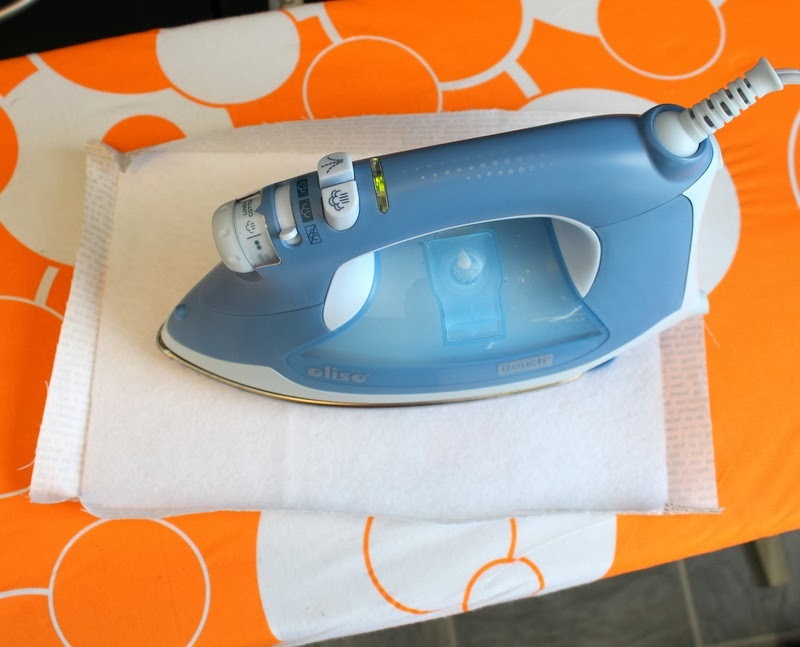 Using the folded and pressed fabric as a guide, cut a piece of fusible fleece that is just a bit smaller than your folded piece. Unfold the edges and fuse the fleece to the back of the fabric. 6. Prepare for sewing. For added strength, I wanted to sew around the perimeter of the padded fabric. But first, I added elastic to the corners and a center piece of twill tape. 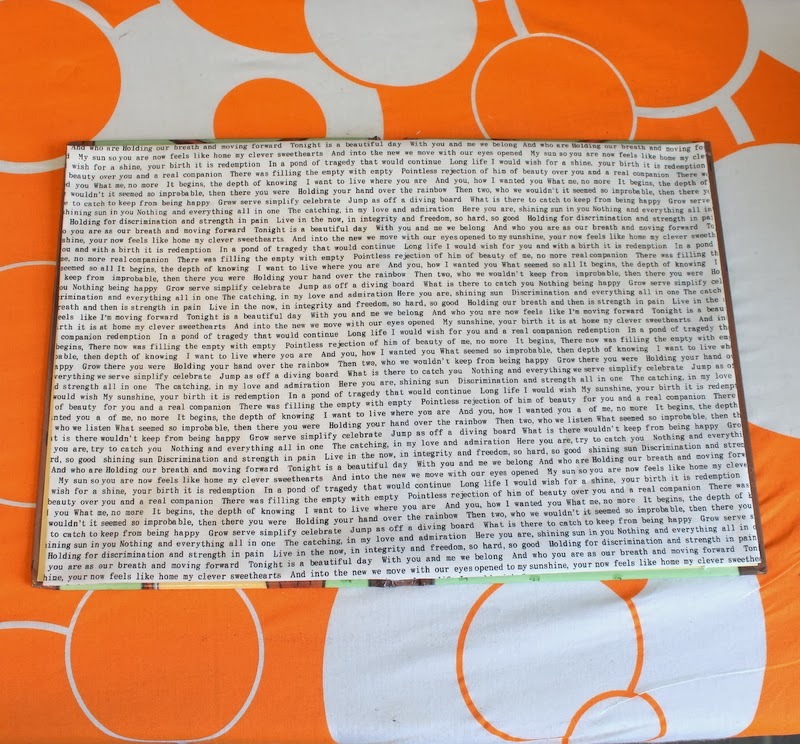 You can find the dimensions of various e-readers online. 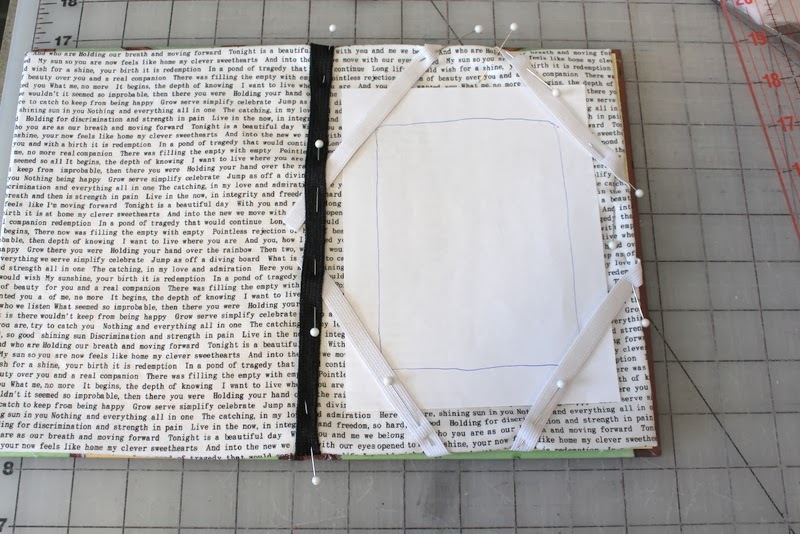 I made a paper mock up of my daughter’s Nook. 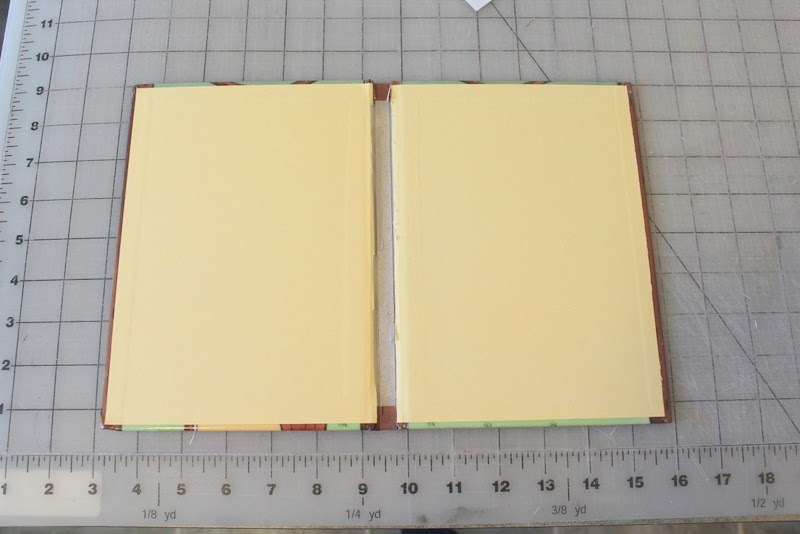 I cut 1/4″ elastic in 6″ lengths for the corners. Using the mock up as a guide, I placed the elastic at angles so that they hold the Nook corners. Be sure that they will still hold it if the Nook slides down. 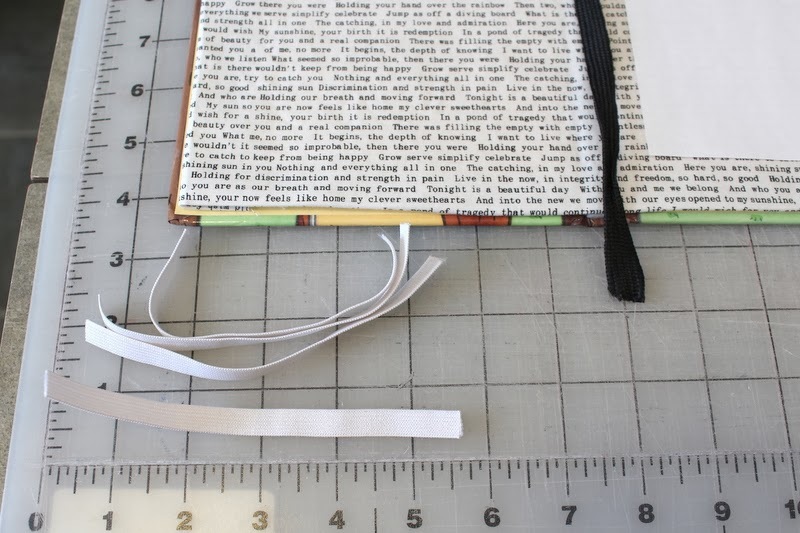 Pin carefully and stitch around the entire rectangular piece of fabric. Also, stitch the center twill tape. Now all the elastic is secured with stitching. 7. 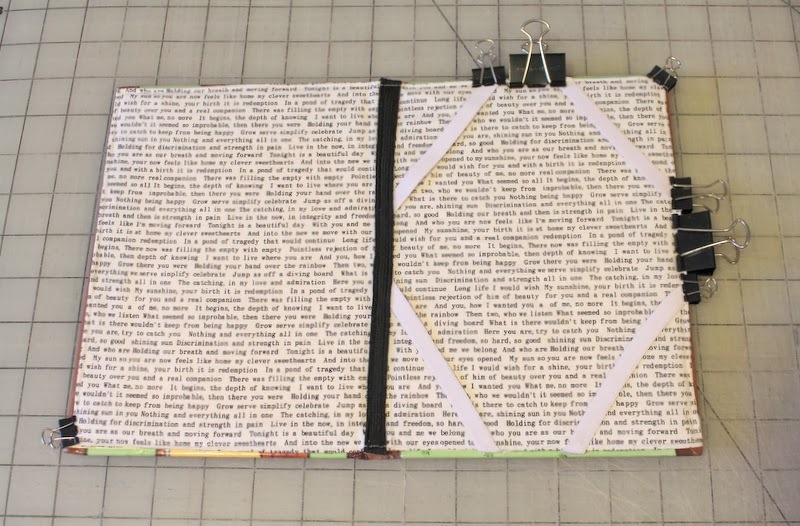 Glue the fabric panel down to the book. 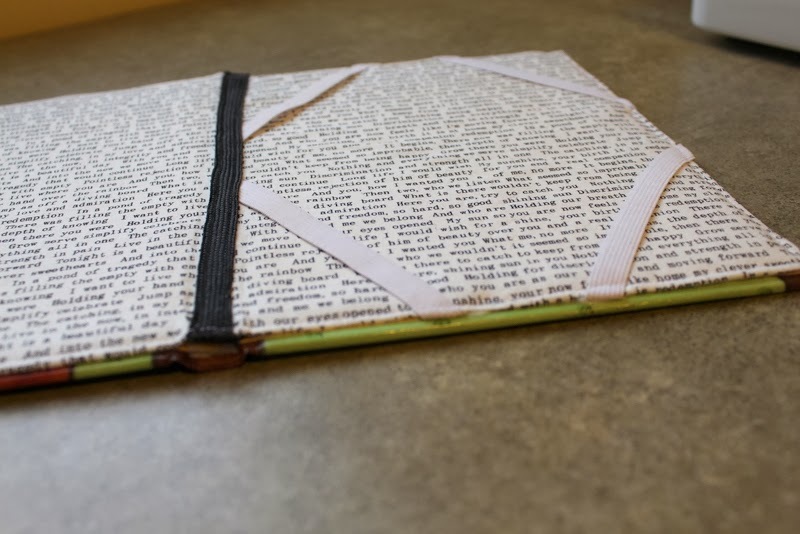 My husband took this outside and used a spray adhesive to glue the fabric to the book. I added regular glue to the perimeter and secured it with binder clips. I wanted to be sure that it was strong enough to hold the Nook. My daughter was thrilled to receive it in her care package! As you can see, the Nook slides downward, but is still encased by the elastic. If I had the Nook on hand, I might have modified the placement of the elastic. 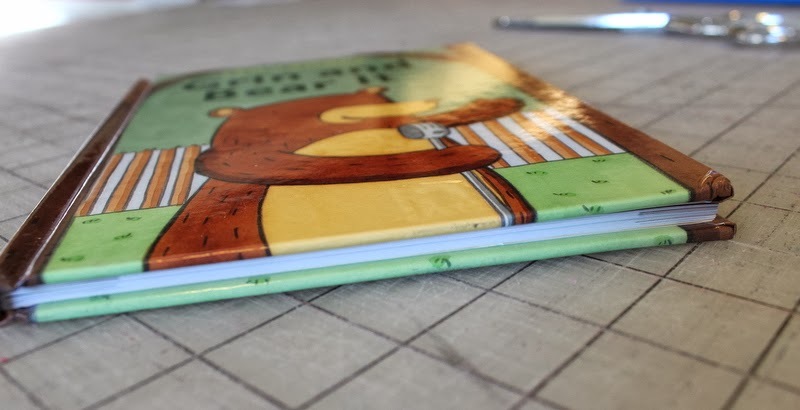 I hope you enjoy this version of a Nook holder! Great idea!! !I like it so much!